In days of old women used to wear their best dress on their wedding day. The white wedding dress became the fashion after Queen Victoria wore one in 1840. Wedding dresses were often handed down to daughters as cherished family heirlooms. 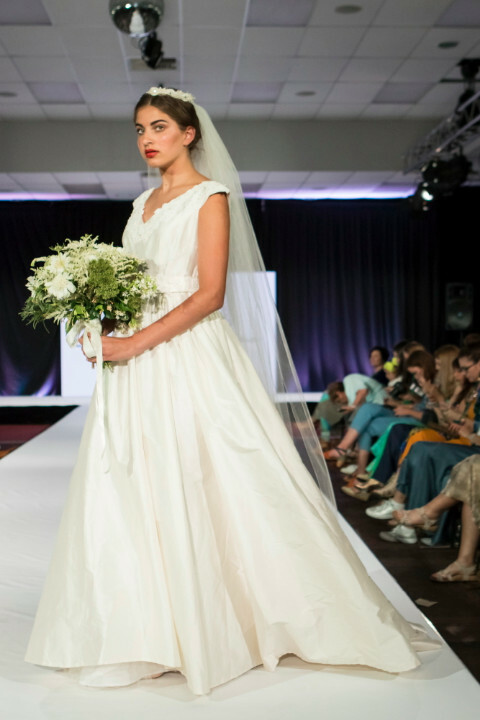 There is a growing trend of buying secondhand wedding dresses from thrift stores (or 'opp shops' as the Aussies say), and many women sell or purchase once-worn wedding dresses online. Not only does this aid in reusing and recycling, but it helps the seller recoup a part of the initial investment, as let's face it, wedding dresses are expensive. I'm lucky to have my mother's wedding gown from the 1940s, and it's a beautiful ivory-coloured silk, embellished with Chantilly lace. 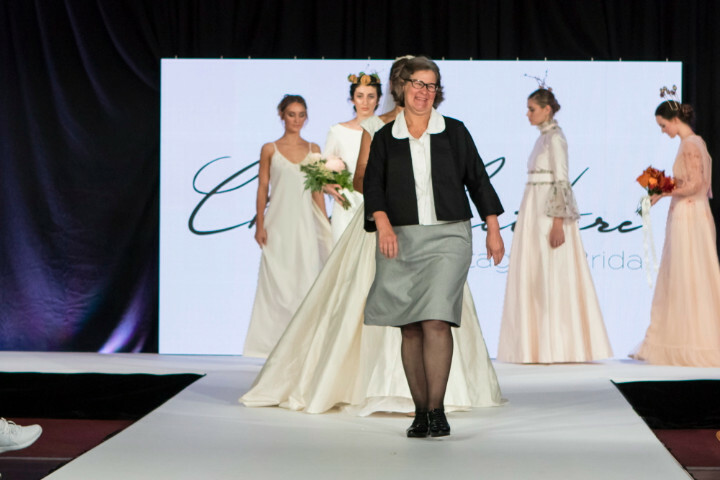 When I saw the Classic Couture Bridal and Vintage show during Eco Fashion Week Australia (EFWA) in Port Douglas, it make me think of my mother's wedding gown, reminding me that I must pull it out and check on it, as I tucked it away after its last inspection in 2011 when I had moved back to Canada from The Bahamas. 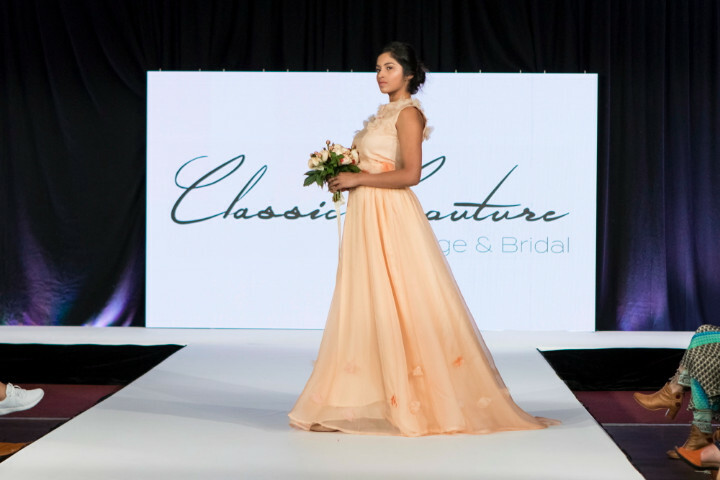 During the Classic Couture runway show, EFWA models appeared like princesses or queens from times gone by as they enchanted us and appeared to float down the runway in beautiful bridal and bridesmaid creations. Presented was an eclectic but classical mix of gowns influenced by the Elizabethan, Renaissance, Pre-Raphaelite and Regency/Edwardian eras. 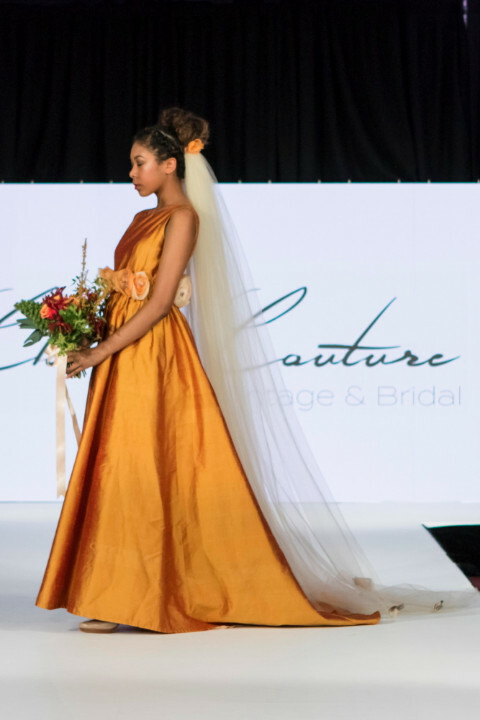 Designer Merrin Glasgow said she finds inspiration for her work from certain periods of historical dress, and has a background in pattern drafting and dressmaking. She has experience as a costumier in theatre, and is a teacher of the visual arts and textiles. 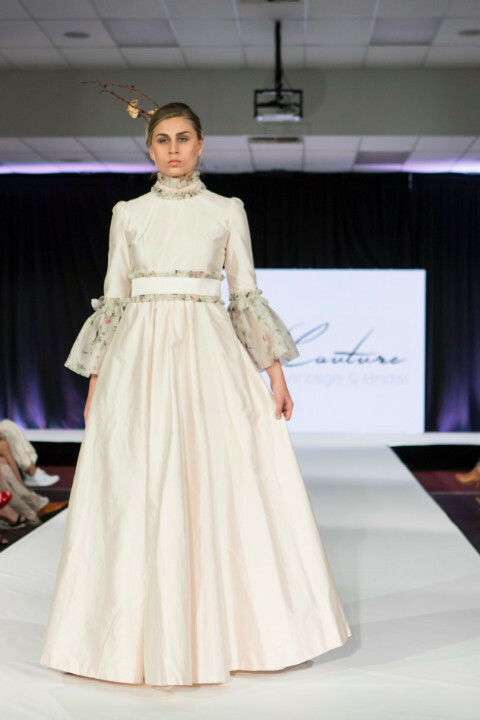 Her passion for fabric is evident in her collection, as we were feted with fabrics like taffeta, silk, and lace. "My dresses are embellished with embroidery, attachment of manipulated remnants, inclusion of gifted trims and hand painting," said Glasgow. "My garments are essentially bespoke, starting with measurements, pattern making, fitting of the Toile before cutting and fitting. My practice is not generic. Fashion is a form of theatre. Fashion speaks volumes." In seeing Glasgow's face when she made her finale walk during the Port Douglas segment of EFWA, I got the sense that this was her first fashion show. The emotional look of accomplishment, relief and joy was all combined. I caught up with her during a runway break and she did confirm that it was indeed her first show. Now retired, she has time to pursue her design career. She told me that 13 years ago, she and her partner purchased two Methodist churches in a small regional community in New South Wales. One they live in, and the other they rent out and use as needed. I was able to see Glasgow's show again in Fremantle at the Perth segment of EFWA2018 and it presented even more beautifully than the first. Hair / Makeup: Special mention to the beautiful hair work by the team of Claire Hair Boutique; and the EFWA makeup team of Jess Iddon, Cailtin Bone, Ryan Cauilan, Lauren Nettle, Jess Williamson, Jess Vlok, Julia McLachlan, and students from the WA Perth Beauty College, all led by makeup directory, Alex Dimov. My mother's wedding dress from the 1940s. I'm lucky to still have it!